We have done some R&D on How to Put Online Your WampServer? Now, If any one have code in their local WampServer. It can be access with globally using the same network. Suppose you have code in local system, But you want to test the functionality in different Mobile devices and Ipad. With use of this, you can do the same without push the code in LIVe. Get to know the your Private IP. Go to command prompt and type ipconfig and press enter. You will get simiar to following response. Now 192.168.0.17 is your local Ip Address. can be access globally within same network. 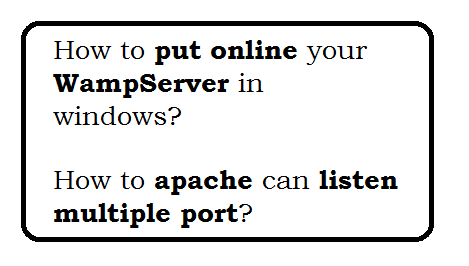 Question:How to apache listen multiple port? Each system have one unique Ip Address. 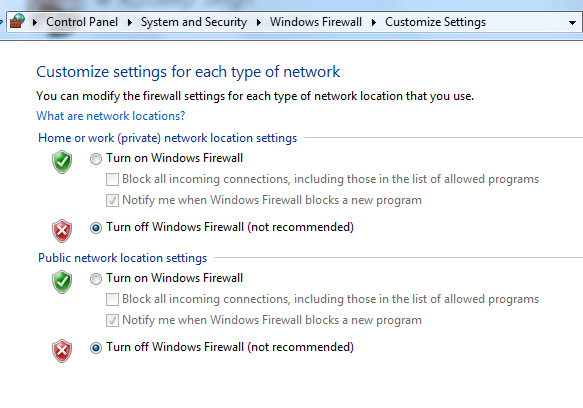 But you can set multiple port with same ip address. I have http.conf in following location. Add following port as below after "Listen 80"
Question: I am using Virtual host for my local websites? Can we access globally for this also? Yes, You can do the same. Just add the following code in your http-vhosts.conf file. Please modify URL and IP Address above as per your system.